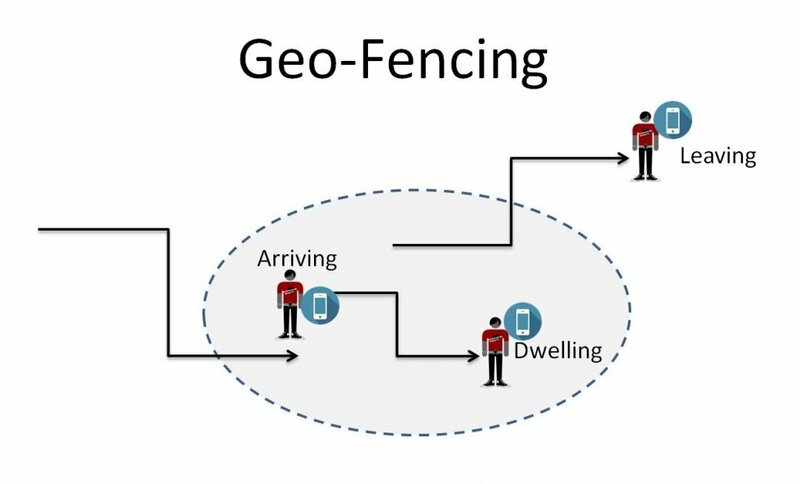 Geo-fencing is a location-based feature of an app or website that uses GPS (global positioning system) or RFID (radio frequency identification) to send smart-phone users messages or personalise content according to their geographic area. It is a form of permission marketing as users normally have to agree to the feature being enabled. It can also be used to check if users are located in an area serviced by apps that are restricted to specific locations (e.g. regulated gambling in New Jersey). An alert can be triggered when a user crosses a boundary to prevent access outside of regulated location.